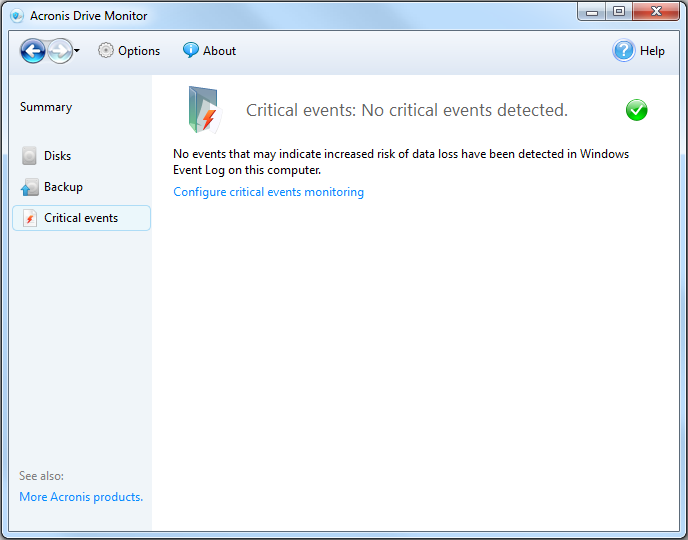 Acronis Drive Monitor is a freeware tool available for public download. 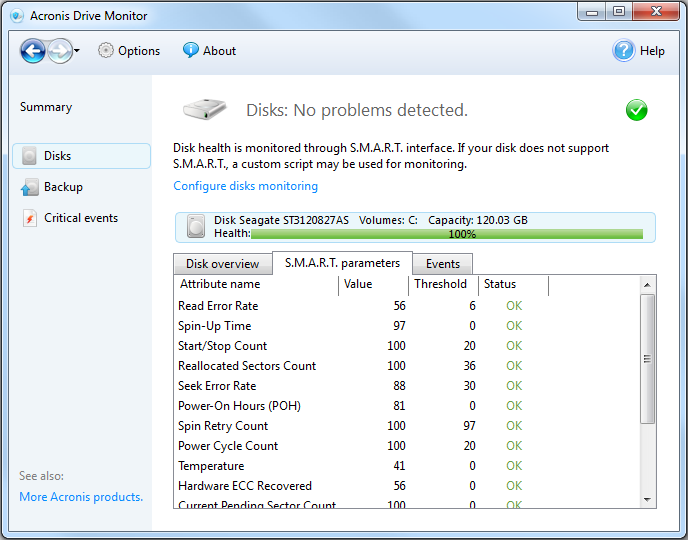 The tool is designed to monitor the health status of your disks and help survive a possible disk failure. 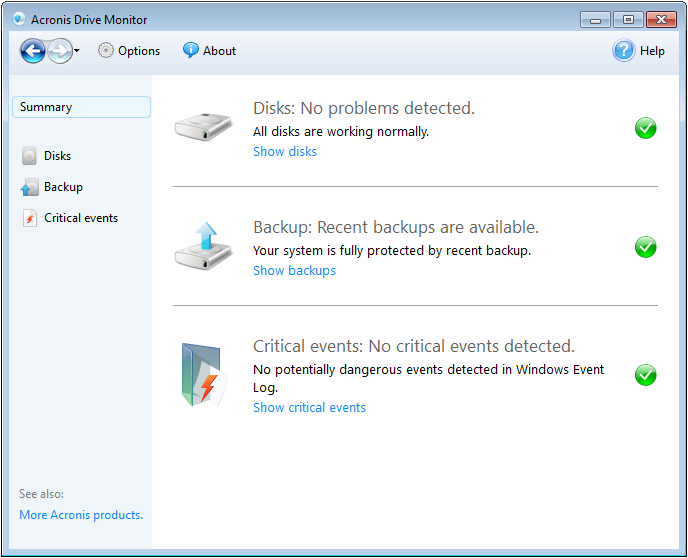 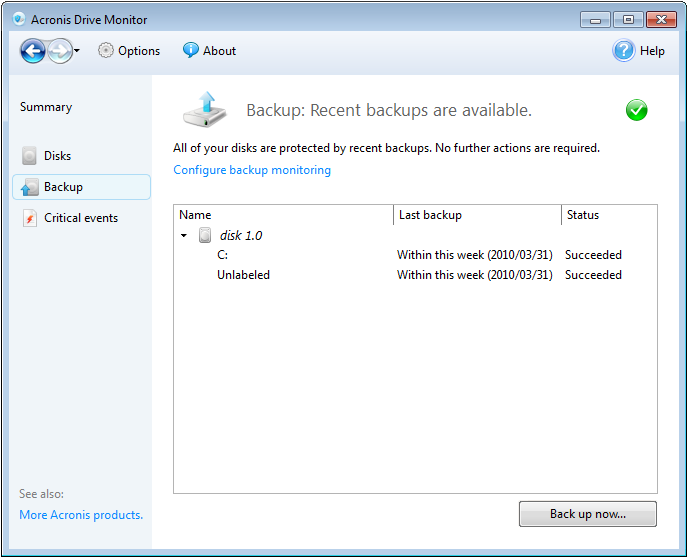 Please note that backup monitoring is supported only for Acronis backup software. 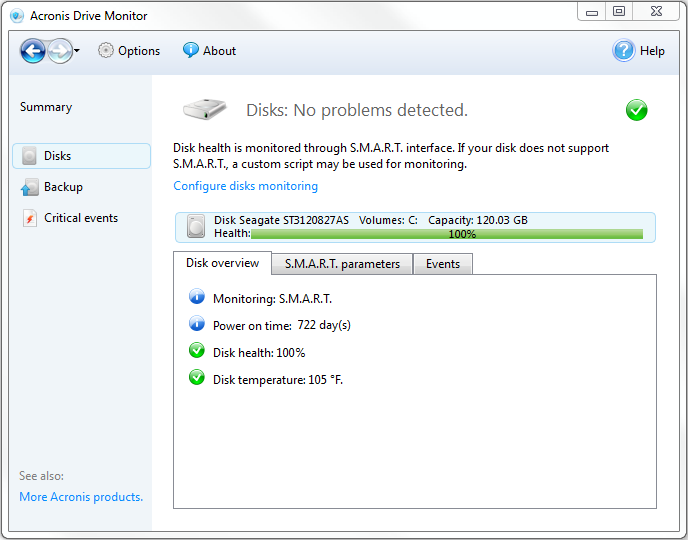 See also Acronis Drive Monitor: Options.